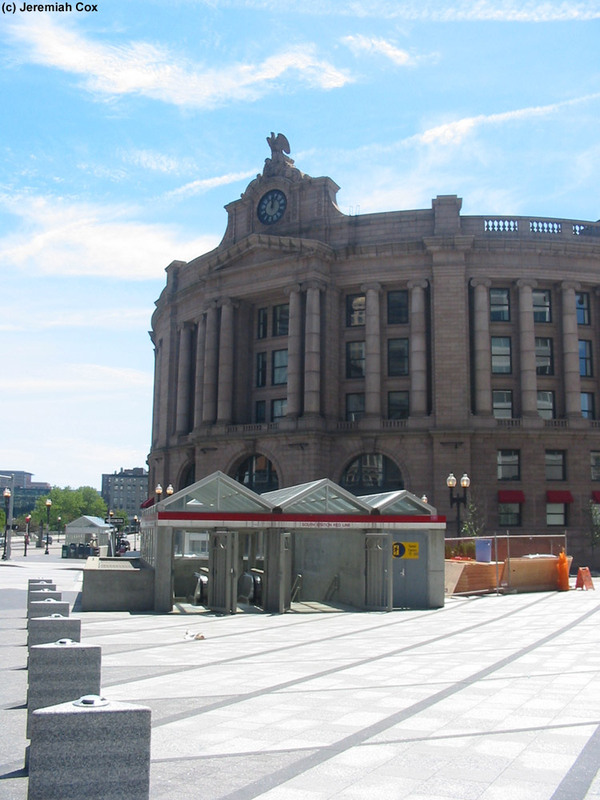 South Station is Boston's main train station and serves all of the Southern Commuter Rail Lines and Amtrak’s Acela, Express, Northeast Regional, and Lake Shore Limited Lines. 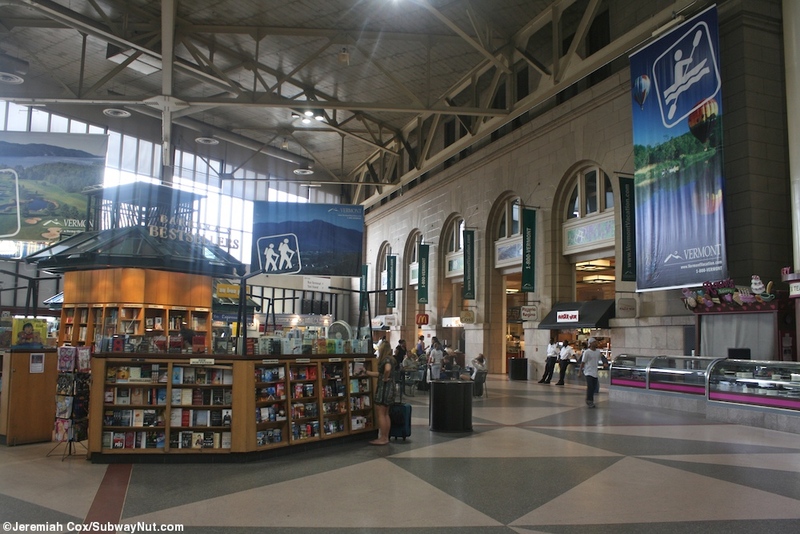 North Station serves the northern set of Commuter Rail Lines and the Amtrak Downeaster to Maine. 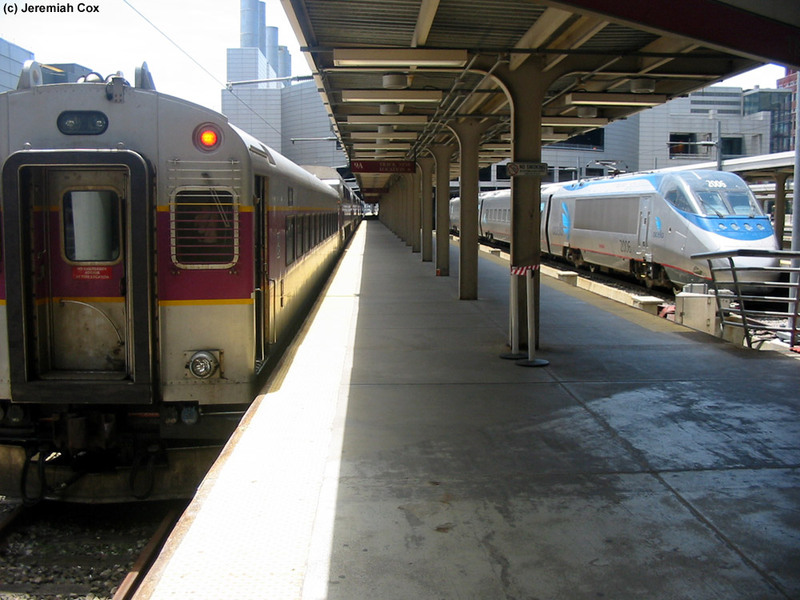 Starting with the Summer of 2013 the CapeFlyer joined other operations at the station. 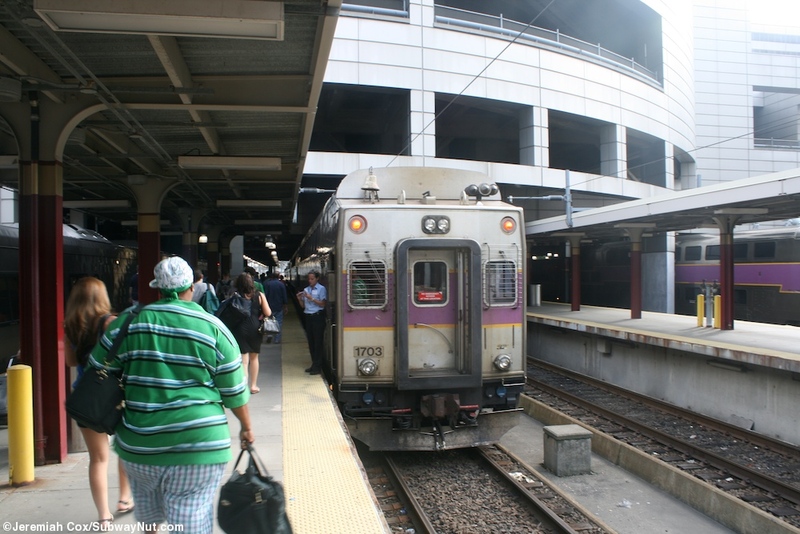 The station has 13 stub-end tracks, all with high-level platforms. 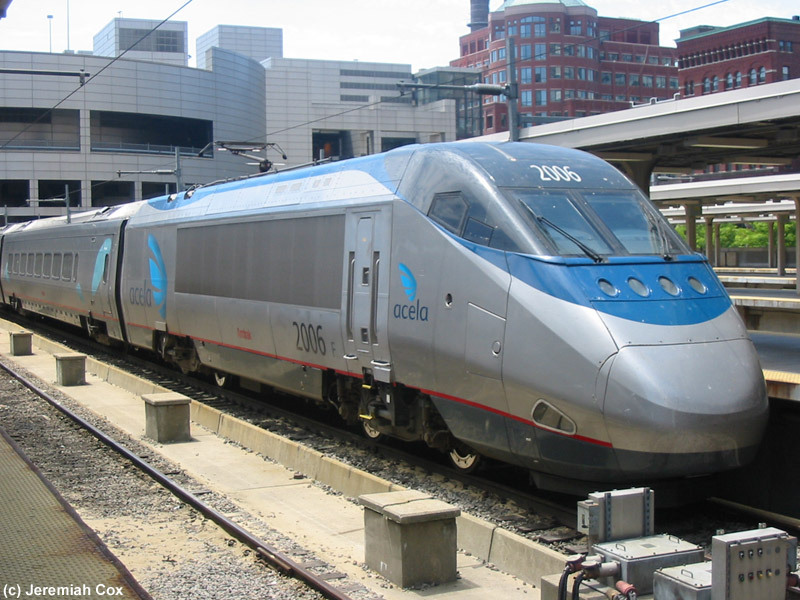 Each is canopied and electrified, although only Amtrak’s Acela and Regional trains use these wires. 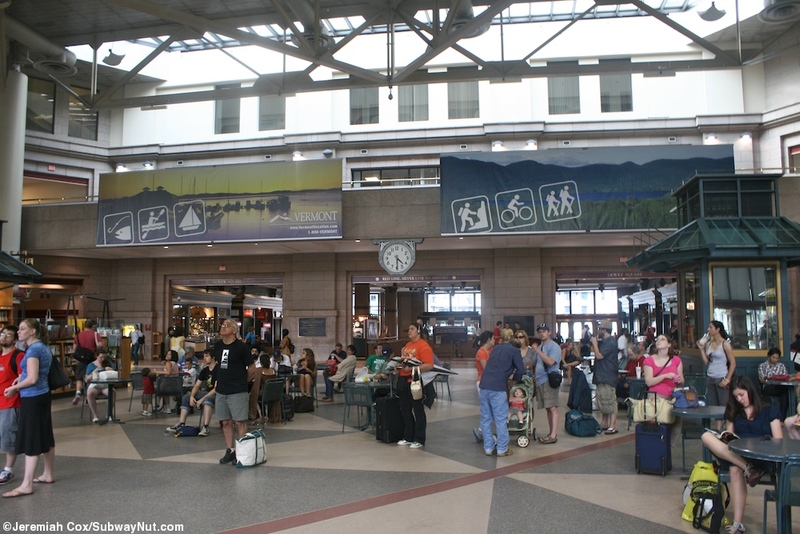 Beyond the stub-tracks is the main terminal building a portion of which still has the historic 1899 building façade and interior, other portions of the terminal with high ceilings (modern, not historic), are built into newer buildings. 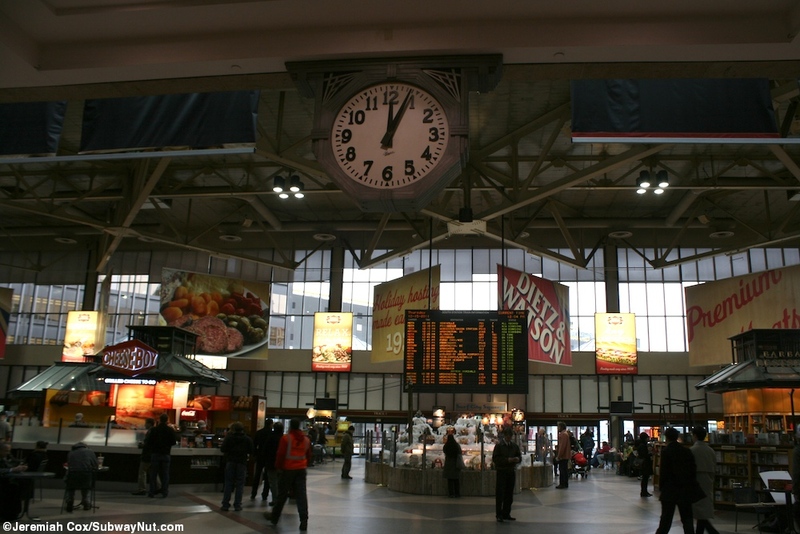 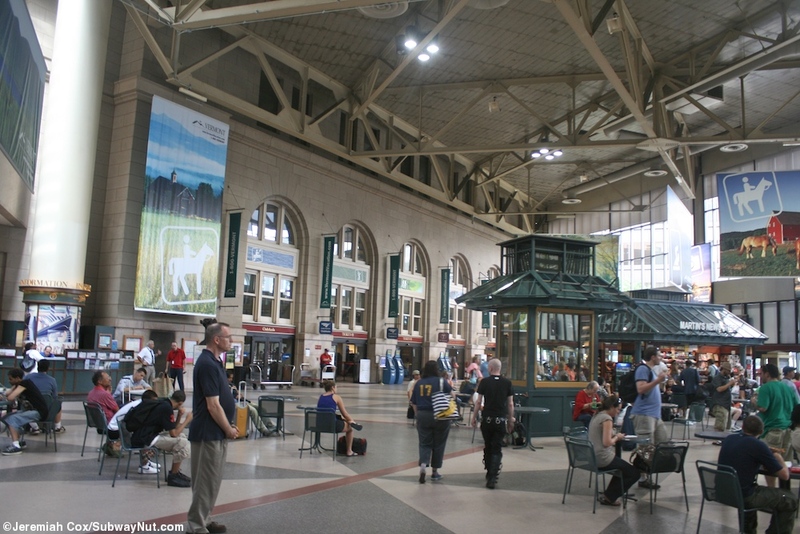 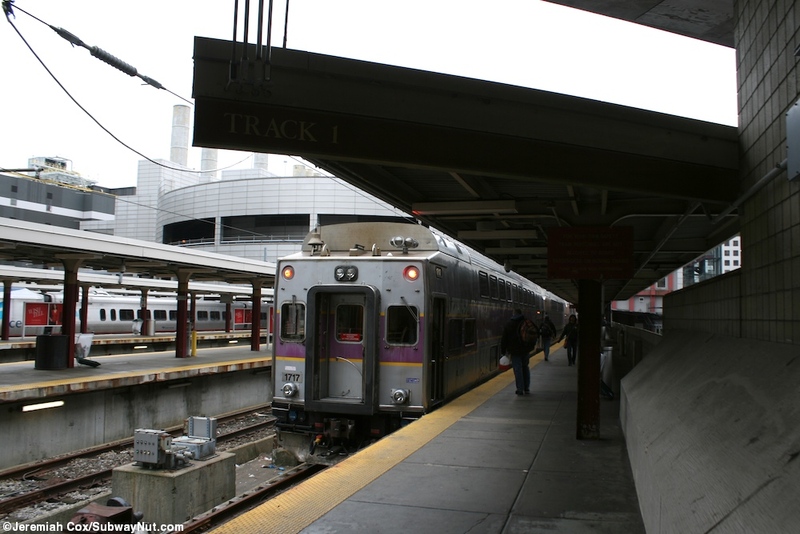 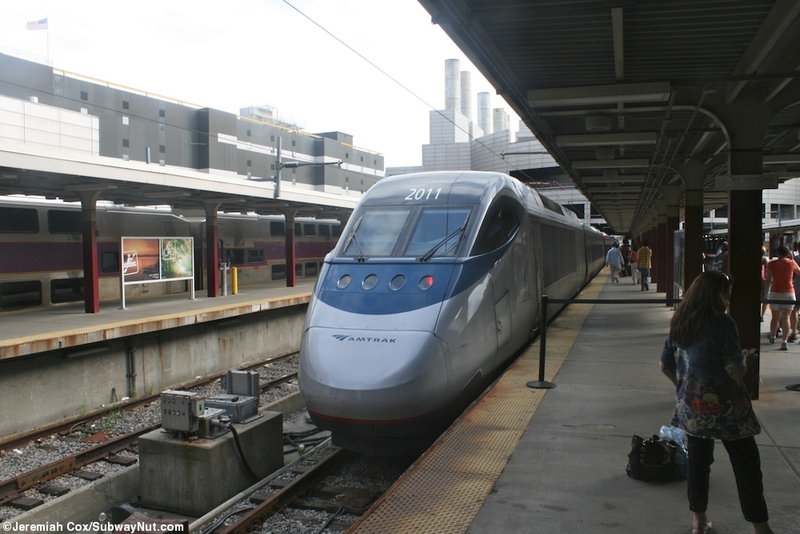 The terminal has lots of amenities like a food court, ticket windows for both MBTA and Amtrak, a baggage office for just two Amtrak trains a day that stop with baggage facilities, and more. 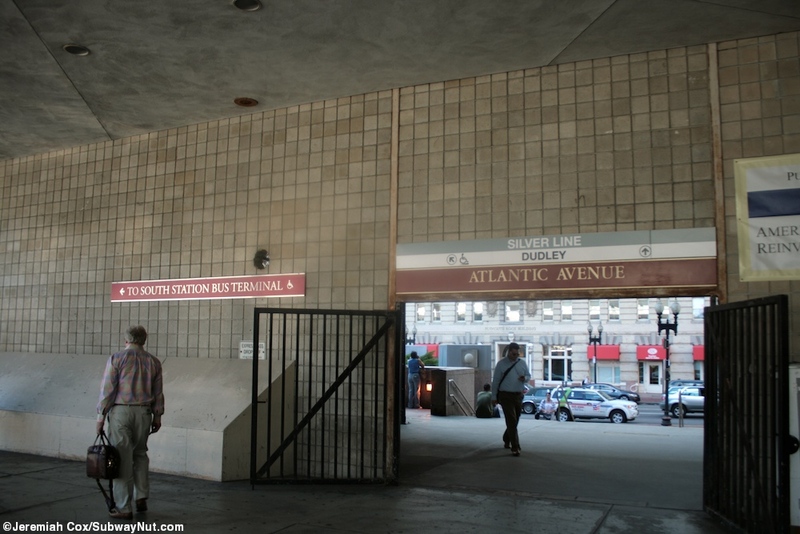 Above the southern end of the station is Boston’s extremely nice South Station Bus Terminal, that puts every other I’ve been in to shame, it is accessed either by walking down track 1 at the station or directly from Atlantic Av. 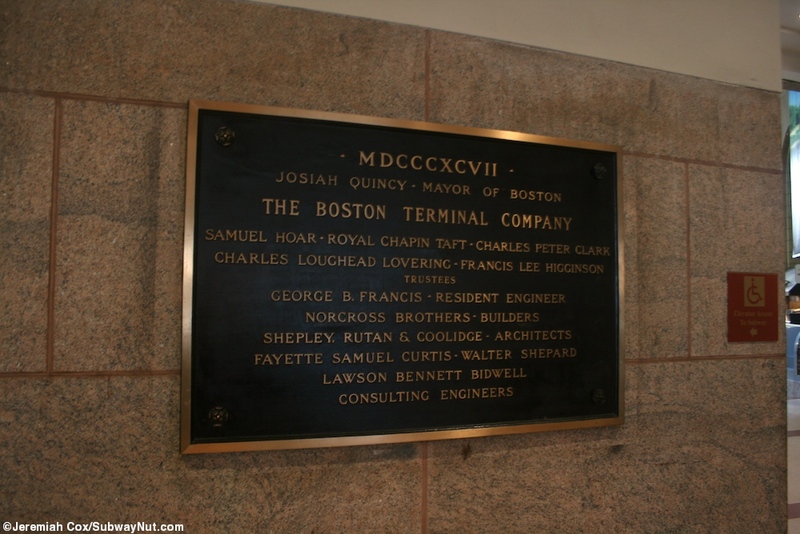 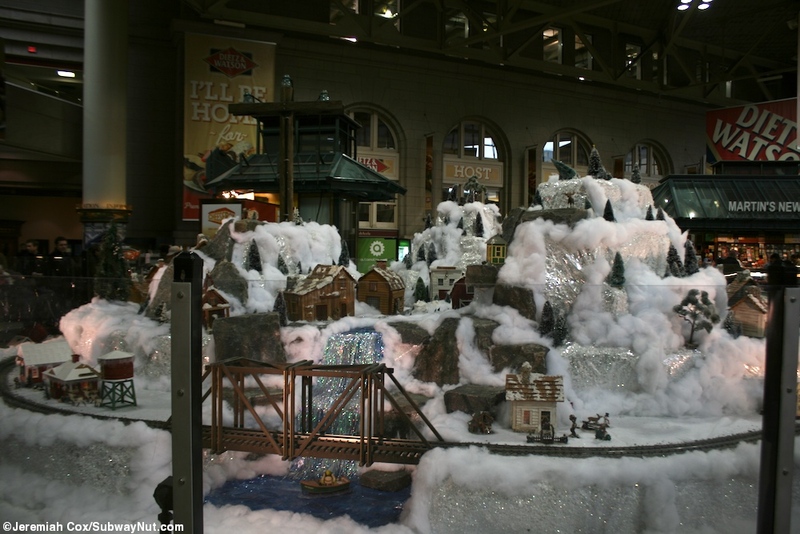 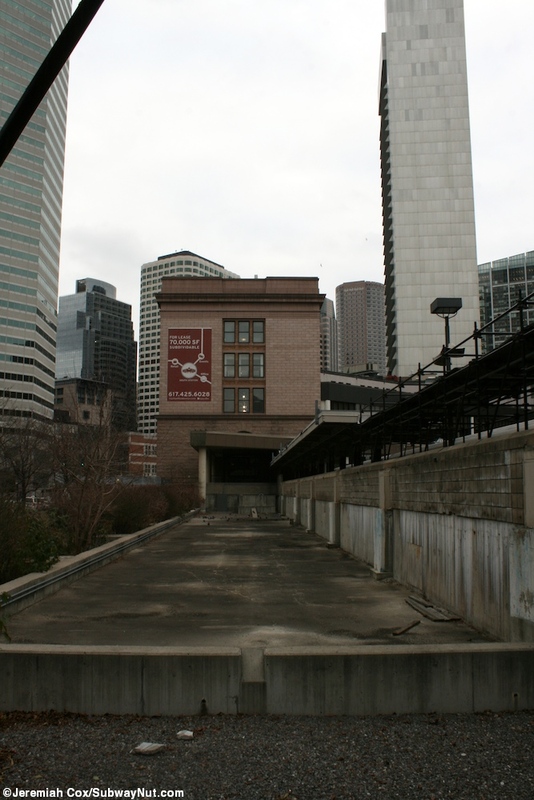 Boston is the rare intercity train terminal where there is public access to all the tracks, no ticketed passengers only rules. 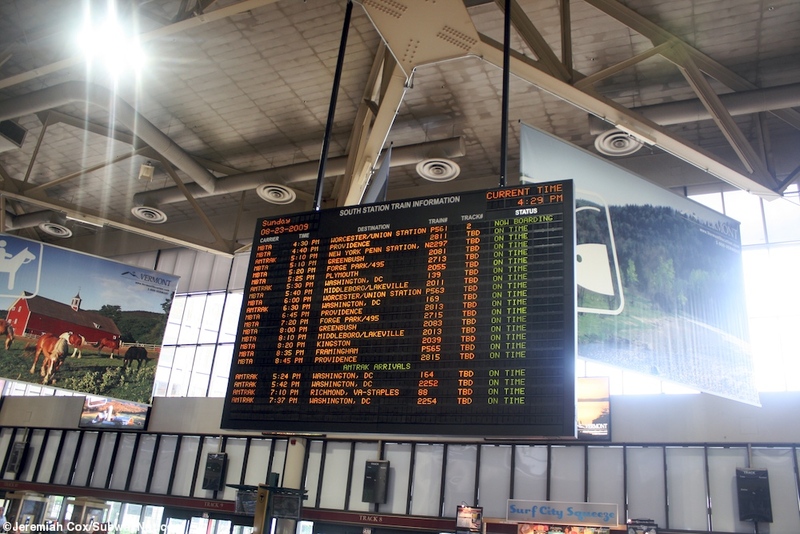 The baggage office (checked baggage service is only provided on the Lake Shore Limited and the Night Owl, Northeast Regional Trains #67 and #66) is even in a seperate annex away from the main station near tracks 12 and 13. 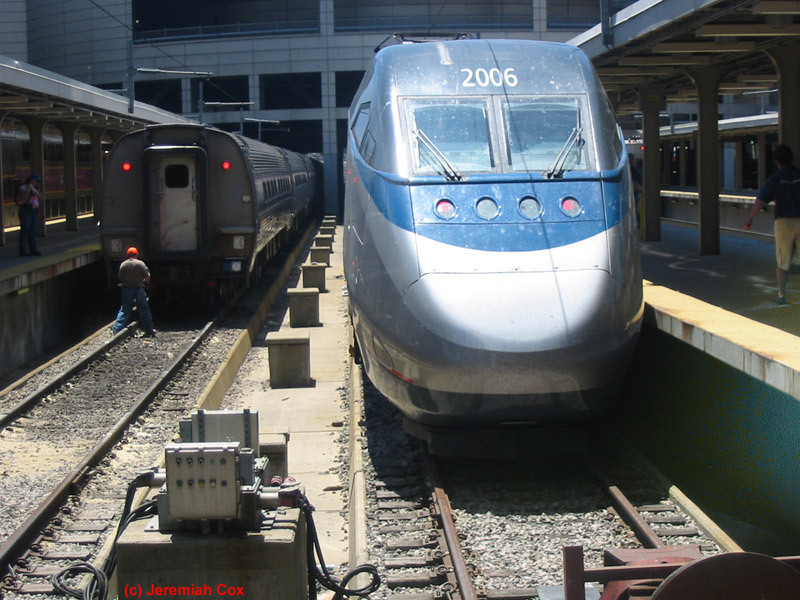 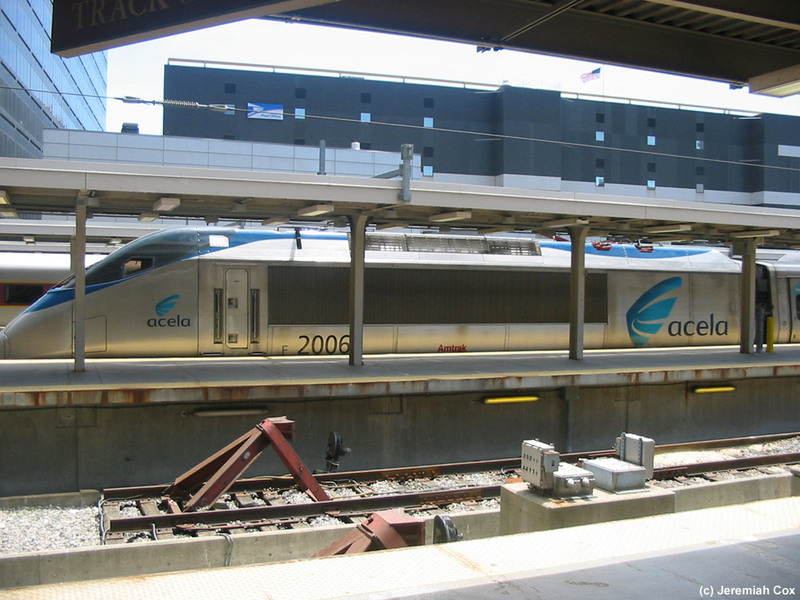 Acela Locomotive #2006 at South Station awaits its departure to Washington. 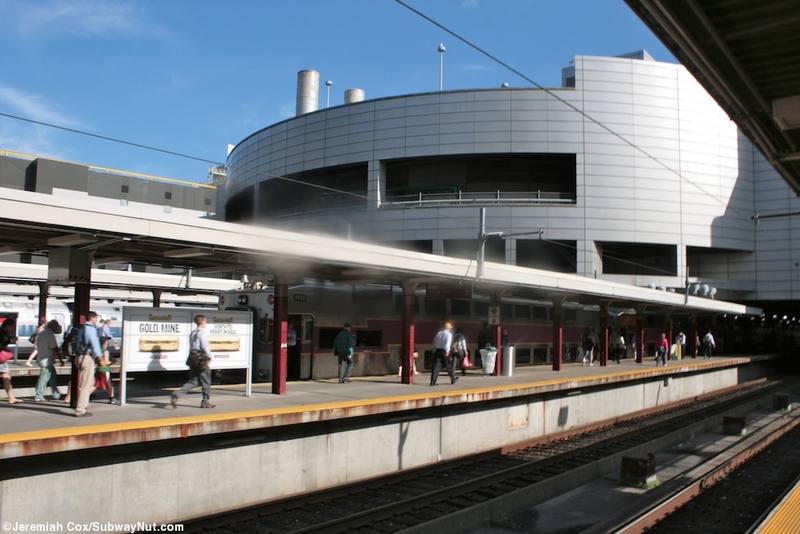 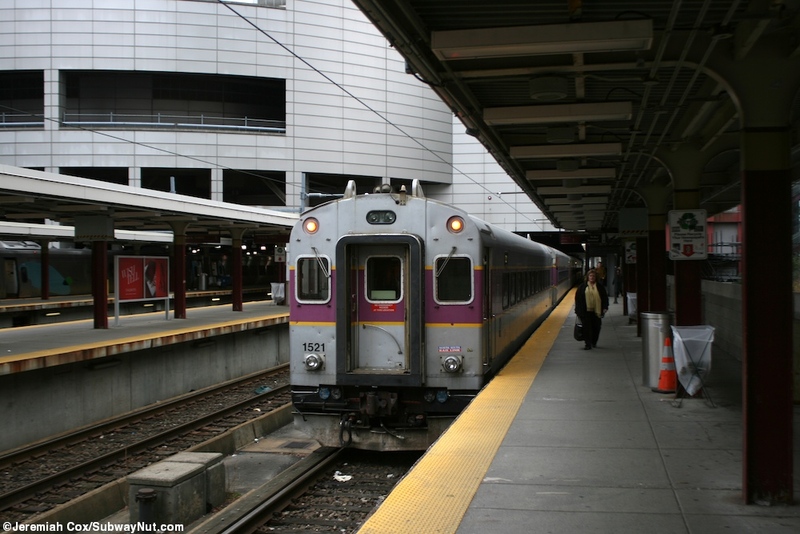 An exit directly from the platform area (near the bumper-blocks) or a walkway to the South Station bus terminal?